Organ Pipe Cactus National Monument is situated in the heart of the Sonoran Desert. Known for its blazing hot summer days with temperatures soaring to well over 100 degrees Fahrenheit, the late summer season also brings monsoon storms. Throughout the winter, temperatures can drop into the low 40s at night and rain is infrequent and light. The total precipitation rarely exceeds 16 inches a year. In these harsh desert conditions, it is hard to imagine any wildlife at all, never mind a thriving population. However, an array of animals from fish and reptiles to mammals and birds, call this place home. Through a unique and individualized survival skill set, these creatures have found a way to survive this harsh arid environment. The Sonoran Desert might not seem like the ideal environment for aquatic animals like fish, but the variety of small creeks or washes and ponds, provide an eccentric population of animals. The Quitobaquito pupfish or Sonoyta pupfish (Cyprinodon eremus) are rare natives of QuitobaquitoSprings and their range only extends over the deserts of the Southwest United States. They are well adjusted to life in the desert. They can easily survive warm watertemperatures and simply burry into the sand to hibernate when winter cools their habitat. The gila topminnow (Poeciliopsis occidentalis occidentalis) is another well-adjusted desert fish. Also called the charalito, this fish is either gold or black depending on its gender. The black males tend to be smaller than the females and become darker when they are ready to breed. These fish can live in any level of salinity and can withstand the extremes of desert temperatures. The gila chub (Gila intermedia), another type of desert minnow can grow much larger than the topminnow. Females can reach lengths of ten inches and are normally larger than the males. They can easily adapt to many kinds of water sources from small pools to large streams, which helps them survive in the dry desert ecosystem. Although they vary in color and size, these fish are all omnivorous, eating anything from small insects to plants and algae. Each of these species is listed as endangered or is a candidate to be listed as endangered by the U.S. Fish and Wildlife Service. The reptiles of Organ Pipe Cactus National Monument enjoy the hot dry summer climate of the Sonoran Desert. After hibernating though the wet, cool winter, the lizards, tortoises and snakes emerge when it gets to be between 80 and 90 degrees Fahrenheit. Many of the species found in the park are only found in the deserts of the Southwestern United States such as the chuckwalla (Sauromalus obesus), the western blind snake (Leptotyphlops humilis), and the desert tortoise (Gopherus agassizii). The chuckwalla, more commonly known as the iguana, dwells in desert rock outcroppings and is strictly an herbivore. The western blind snake can grow to be sixteen inches long and are often a light brown with a pink or purple tint. They are commonly found in burrows along washes and spend most of their life underground. Despite their name, blind snakes can see some light, but rely mostly on smell to detect their insect prey. Desert tortoises live in the park, but are rarely seen. Since the 1950s, their numbers have decreased dramatically and now it is estimated that in the deserts of the Southwest, there are only 100,000 tortoises left. An adult desert tortoise is well suited for an arid, hot environment and can go nearly a year without access to water because they get most of their moisture from wildflowers and grasses that make up a large portion of their diet. The desert tortoise also has the longest lifespan of all reptiles in the park and can live between 50-80 years. Many of species of birds can be found in the Sonoran desert for at least part of the year. Organ Pipe Cactus National Monument is home to several species of native birds as well as migratory birds. Everything from raptors to hummingbirds can be found in the monument and each serves a different purpose. Many migratory birds like many species of warblers and the white-winged dove (Zenaida asiatica) are considered insectivores. However, when they arrive in the Southwestern United States on their migratory route, their diet changes drastically from insects to flower pollen. This adaptive diet change serves the unique purpose of cross-pollinating and helps to further the plant life in the monument. The foliated banks of the many washes that run through Organ Pipe Cactus National Monument serve as a breeding ground for these migratory species. The open water combined with large mesquite trees provides a perfect nesting place for many birds such as white-tailed kites (Elanus leucurus), burrowing owls (Athene cunicularia) and vermilion flycatchers (Pyrocephalus rubinas). Aside from migratory burrowing owls, the elf owl (Micrathene whitneyi) is considered by the National Park Service to be a resident species of the park and is commonly sighted. Another year round resident of the Kris Eggles Visitor Center is the Costa’s hummingbird (Calypte costae), which feeds on the wildflowers and cacti flowers around the park. The majority of resident animals found in Organ Pipe Cactus National Monument are mammals. 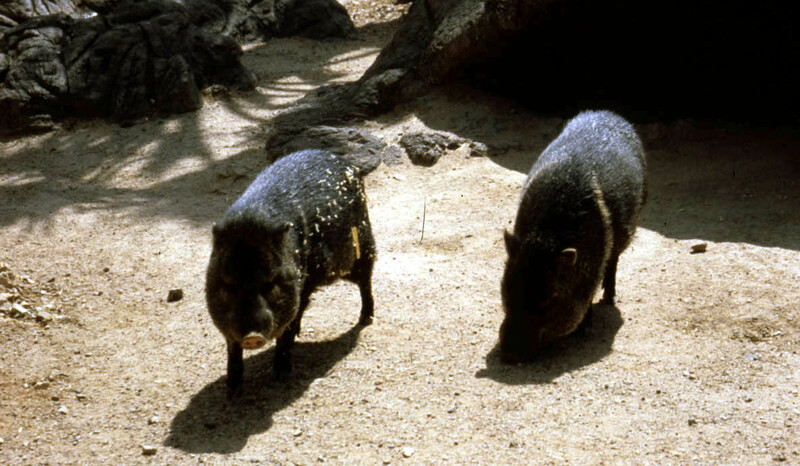 Hoofed animals, such as the javelina or collared peccary (Tayassu tajacu) are native to the Sonoran Desert. These pig-like animals are not actually pigs at all and unlike pigs, javelinas evolved on the continent of North America. Hoofed megafauna in the area include desert bighorn sheep (Ovis Canadensis), desert mule deer (Odocoileus hemionus crooki), the smaller white tailed deer (Odocoileus virginianus couesi) and one of the rarest of all American mammals, Sonoran pronghorn (Antilocapra americana sonoriensis). However, these animals are not always seen in the monument as they often have to travel marge distances to make sure that they have enough grazing space. The predators of the monument can be broken into four categories: canids, felids, procyonids, and mustelids. The canids, such as coyotes (Canis latrans), the kit fox (Vulpes Velox) and the grey fox (Urocyon cinereoargenteus), inhabit most areas of the park. They can roam almost anywhere, but cannot be far away from water in the summer heat. Many of these predators are nocturnal and prefer to hunt in the cooler temperatures of the night. The felids consist of mountain lions (Felis concolor), which are common throughout the United States, Canada, Central America and South America, and bobcats (Felis rufus). These elusive animals are often detected only by the traces of prey that they leave behind and can be ferocious and stealthy hunters. Of the procyonids, the ringtail (Bassariscus astutus) is most common in Organ Pipe Cactus National Monument. They are nocturnal and most likely reside in the mountainous areas near the Tinajas Altas. The spotted skunk (Spilogale putorius) and badgers (Taxidea taxus) are considered mustelids. Both hunt smaller rodents and keep cool living in small burrows, similar to some snakes and lizards. The order Lagomorpha, or rabbits and hares, are extremely populous in the borderlands area. Two common species include the desert cottontail (Sylvilagus audubonii), which is found in the shade of mesquite trees or hiding under bushes, and the black-tailed jackrabbit (Lepus californicus) which is found out on the desert planes. Other small mammals include rodents and shrews. There are twenty-five species of known rodents in the desert borderlands, but more are being discovered as research continues. Bat populations have the same variations. The fifteen to twenty species of bats in the park are mostly insectivores, like shrews. National Park Service, “Weather,” National Park Service, http://www.nps.gov/orpi/planyourvisit/weather.htm (accessed March 30, 2012). F., Daniel, “Sonoran Desert Climate,” Blue Planet Biomes, http://www.blueplanetbiomes.org/sonoran_desert_climate.htm (accessed March 30, 2012). Scottsdale Community College, “Quitobaquito Pupfish,” Scottsdale Community College, http://plone.scottsdalecc.edu/cnuw/quitobaquito-pupfish-cyprinodon-macularius-eremus (accessed March 31, 2012). Sonoran Desert Conservation Plan, “Gila Topminow,” PIMA, http://www.pima.gov/cmo/sdcp/species/fsheets/gtm.html (accessed March 31, 2012). Sonoran Desert Conservation Plan, “Gila Chub,” PIMA, http://www.pima.gov/cmo/sdcp/species/fsheets/gc.html (accessed March 31, 2012). Sonoran Desert Conservation Plan, “Threatened and Endangered Species,” PIMA, http://www.pima.gov/cmo/sdcp/species/fsheets/facts.html (accessed March 31, 2012). National Park Service, “Reptiles,” National Park Service, http://www.nps.gov/orpi/naturescience/reptiles.htm (accessed April 1, 2012). Arizona-Sonora Desert Museum, “Chuckwalla,” Arizona-Sonora Desert Museum, http://www.desertmuseum.org/books/nhsd_chuckwalla.php (accessed April 1, 2012). Arizona-Sonora Desert Museum, “Western Blind Snake,” Arizona-Sonora Desert Museum, http://www.desertmuseum.org/books/nhsd_blind_snake.php (accessed April 1, 2012). 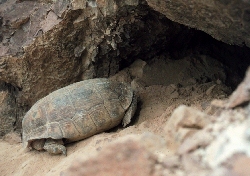 Defenders of Wildlife, “Basic Facts about Desert Tortoises,” Defenders of Wildlife, http://www.defenders.org/desert-tortoise/basic-facts (accessed April 1, 2012). Carlos Martinez del Rio, “Long-Nosed Bats and White-Winged Doves: Travels and Tribulations of the Two Migrant Pollinators,” in Dry Borders, ed. Richard Stephen Felger and Bill Broyles (University of Utah Press, 2006), 303-9. David J. Griffin, “Birds of Arizona’s Southwestern Borderland,” in Dry Borders, ed. Richard Stephen Felger and Bill Broyles (University of Utah Press, 2006), 282-5. National Park Service, “Birds,” National Park Service, http://www.nps.gov/orpi/naturescience/birds.htm (accessed April 1, 2012). The Mammals of Texas, “Collared Peccary,” The Mammals of Texas, http://www.nsrl.ttu.edu/tmot1/tayataja.htm (accessed April 2, 2012). Robert S. Henry, “Mammals of the Sonoran Desert Borderland Reserves,” in Dry Borders, ed. Richard Stephen Felger and Bill Broyles (Salt Lake City: University of Utah Press, 2006), 272-9.